Hi, I'm Alexandra Brown and I want to share with you tips and thoughts on living life to the max! My passion is to help people discover their purpose in life while living exceptional lives and achieving wellness, wealth and significance. Principle 1: Become genuinely interested in other people. This chapter talks about a simple but effective way of making a good first impression. Smiling is the tool one can use to win people over in all situations. Actions speak louder than words, a smile says, " I like you, you make me happy. I am glad to see you." That's why dogs and babies make people happy. They are always truly happy and excited to see you. The effect of a smile is powerful, even when it is unseen. When meeting people you must have a good time if you expect them to have a good time. In order to be happy one must be able to control their own feelings. This chapter goes over how people's name are important to them and we should try to remember everyone by name. Some of the most prestigious people can name everyone they know by first name. That has gotten them very far in life. Some techniques to remember are their full name, asking them a few personal things about themselves. Do whatever you can so that the next time you them you can call them by their first name and ask them about whatever personal thing they told you. They will be very pleased. Someones name will help you work magic. Principle 3: Remember a person's name is to that person the sweetest and most important sound in any language. This chapter goes over how to keep conversation going and by doing so the other person will be happy and interested in you. You will make an impression and they won't forget you. Always make sure you are genuinely interested in what the person is saying, ask a lot of questions, and be a good listener and ask questions to keep the conversation going. People who interrupt, contradict and irritate will push people away. Things that will push people away don't listen for long, talk about yourself and interrupt. Lastly don't be a bore. Principle # 4: To be a good conversationalist, be an attentive listener. To be interesting, be interested. Ask questions people will enjoy answering. Encourage them to talk about themselves and their accomplishments. 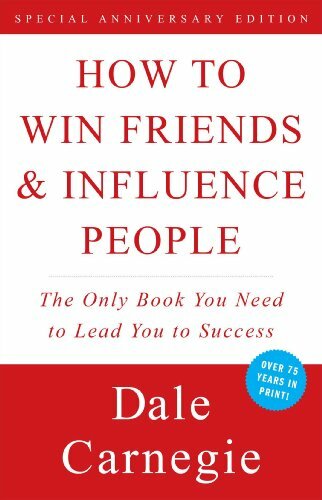 This chapter talks about how to interest people in you and some examples. The way to a person's heart is to talk about the things they treasure most. Roosevelt always had things to talk about no matter the subject he had something to say about it to start-up a conversation. Turns out before having a meeting with someone he would research things on whatever interested the other person. This made him interesting. Principle 5: Talk in terms of the other person's interests. This chapter goes over how to get people to like you right away. You can get people to like you by mentioning something you admire about them. When you do this do it with the simple intention of making them feel good, not trying to get something out of them. There is one important law of human conduct that will bring us countless friends and happiness is by making people feel important. Don't do this and you will encounter endless trouble. Human nature craves appreciation. Everyone wants to feel approval of who they come in contact with. But they want it to be sincere. Do onto others as you would have them do onto you describes it best. When asking for things do it in a polite manner. Little courteous phrases like "I'm sorry to trouble you," " Would you mind if?" etc. Everyone wants to feel important. Talk to people about themselves; they will talk for hours. Principle 6- Make the other person feel important and do it sincerely. We wish you much success in improving your communications skills! Ronen Brown is a successful businessman, network marketing professional, and natural health enthusiasts. He is a Max International Independent Associate and Leader. Learn about Max breakthrough Glutathione acceleration products - including Cellgevity, Max GXL, Max N-FUZE, Max ATP - and weight loss product - Meta-Switch. Learn about how to make money at home and how to succeed in Network Marketing. We are an Independent Associate of Max International. The content of this page represents the opinions of Max Team Vision solely.